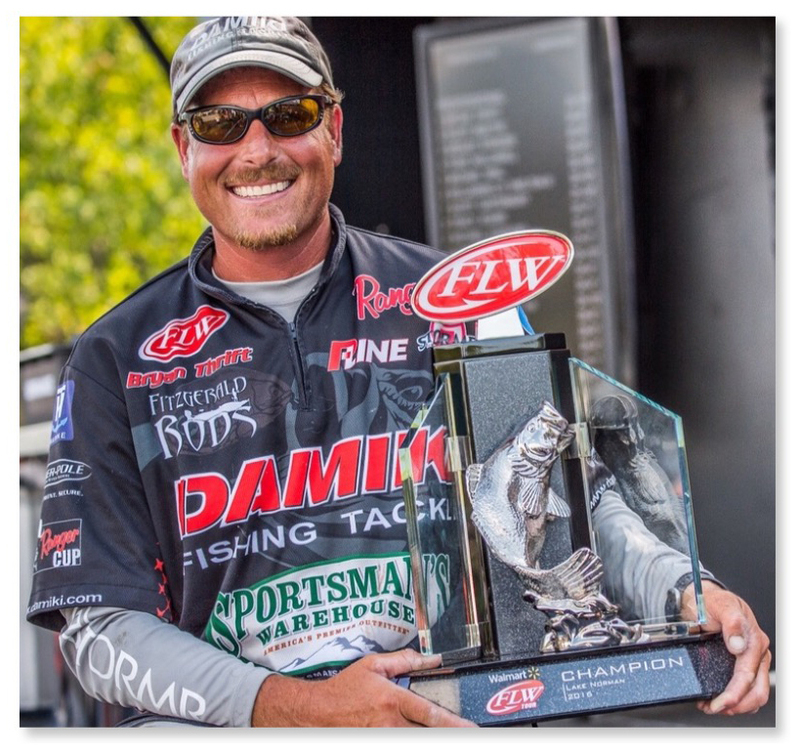 Cemented among the best in the world of professional bass fishing, Bryan Thrift has accrued almost 2-million dollars in career earnings, collected a number of titles, and a host of tournament wins. Designed 100% by Thrift himself, the Fitzgerald Bryan Thrift Series Casting Rods channel all of his angling experience to provide the ideal actions and tapers to fish a full range of baits. Built upon premium quality rod blanks, the Fitzgerald Bryan Thrift Series Casting Rods feature American Tackle Artus HD micro guides that have been strategically placed to maximize the action and performance of each particular rod. In addition to providing increased casting distance, accuracy, and sensitivity, the American Tackle Artus HD micro guides are fitted with saltwater-gauge nanolite HD rings that enhance durability, decrease weight, and stood-up to the toughest braids. Well balanced, lightweight, and easy to fish all day, the Fitzgerald Bryan Thrift Series Casting Rods combine the outstanding quality that Fitzgerald is known for with professionally tuned actions that ensure tournament-worthy performance.